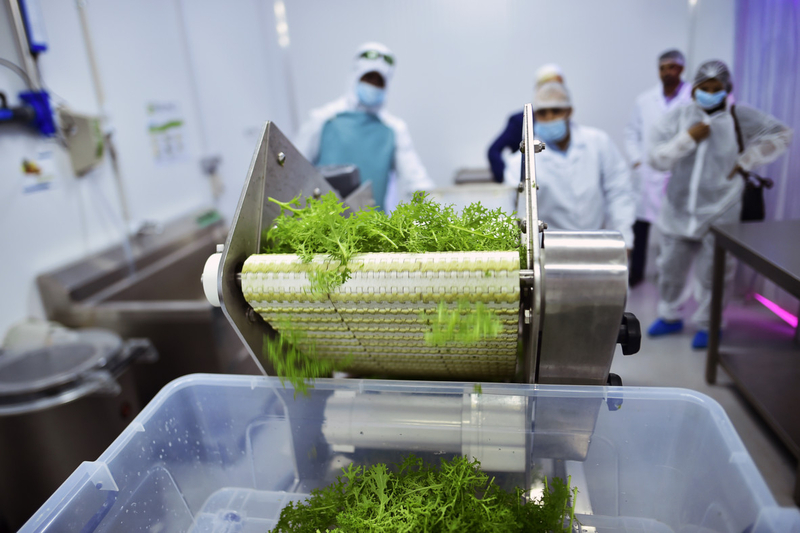 Dubai: Sustainable urban farming has now become a reality in the UAE. We can actually have pesticide-free, zero carbon, indigenously grown, reasonably priced organic vegetables round the year. Meet Mustafa Moiz, a young Indian expatriate and resident entrepreneur from Dubai. He is the Managing Director of UNS farm, an indoor facility housed in a large warehouse of Al Quoz Industrial area. 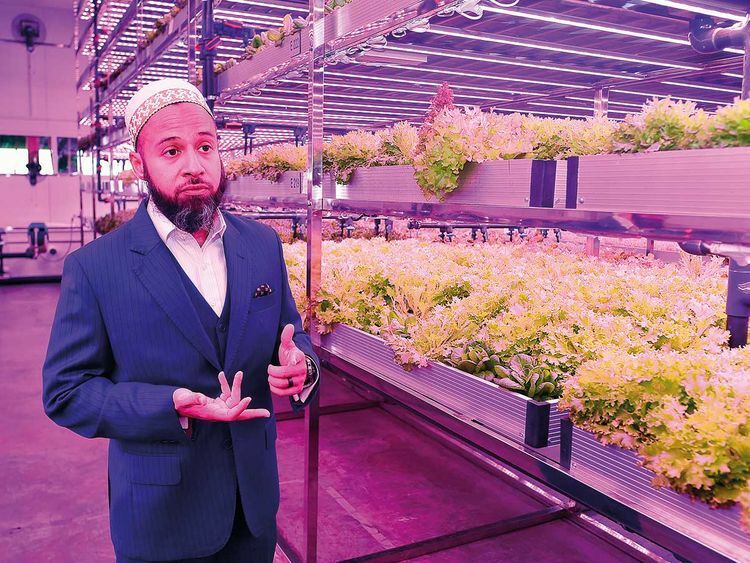 Utilising principles of vertical farming with eight vertical levels of farming, his farm utilises 30,000 square feet of space and is the largest urban farm in the city. The UNS farm currently produces tonnes of greens — baby spinach, kale, basil, lettuce and salad leaves. There's a plan to diversify into strawberries, mushrooms and flowers. 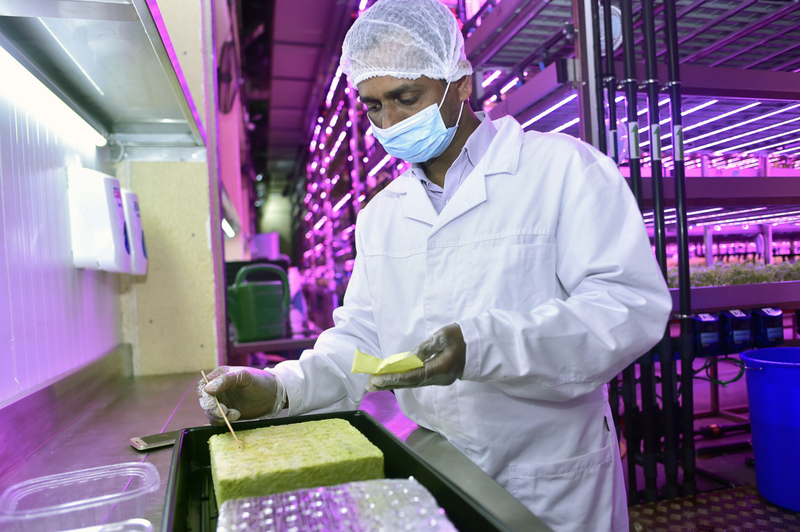 UNS farm that began operation in September 2018, harvests anything between 1,000 to 1,500kg of vegetables every day. Currently supplying to gourmet chefs, hotels and restaurants. However, its produce will soon be available to individuals on supermarket shelves. 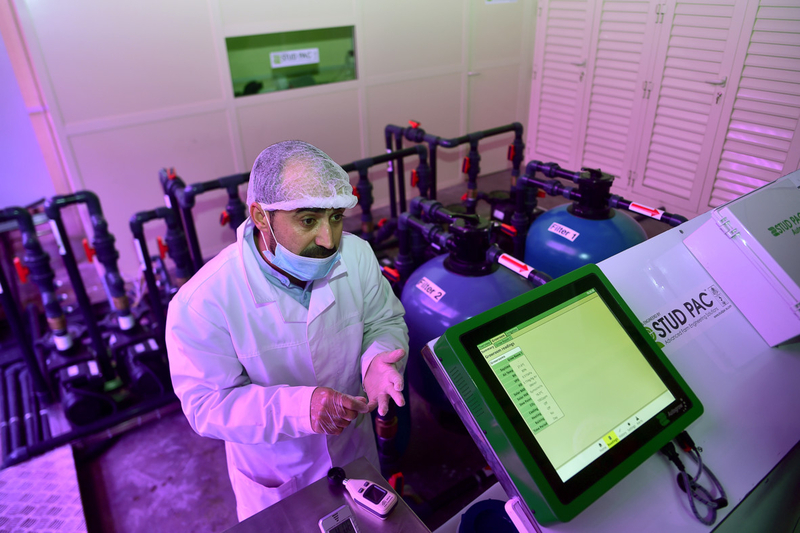 Hydroponic farmers work hard at growing viable and sustainable herbs, fruits and vegetables at the UNS Farms in Al Quoz. The farm works on principles of hydroponics which rests on growing vegetables soil free in peat moss. Nutrition is supplied to plants through macro and micronutrients dissolved in water, through drip farming optimising the use of water. The indoor farm is temperature controlled so has the same yield throughout the year, even during the peak of summers. 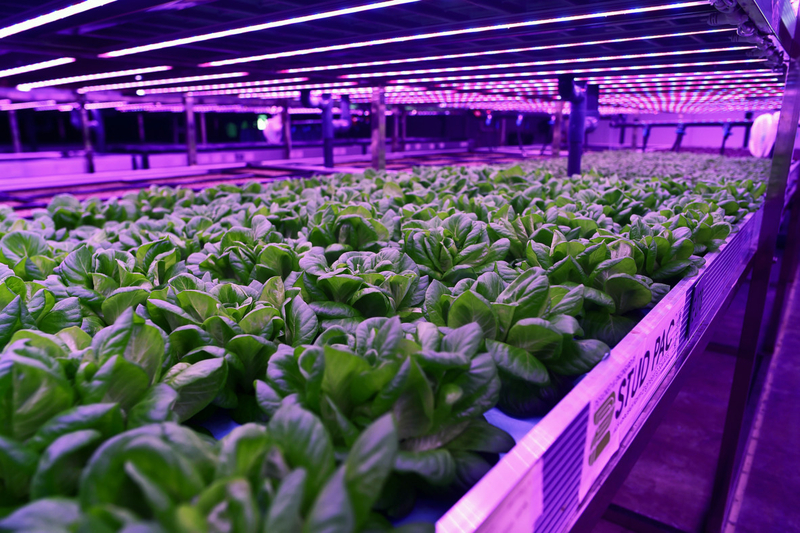 It is sustainable because it uses minimum water and the green, red and yellow ultraviolet solar colours that are used in the indoor farm come from energy-saving LED lights. 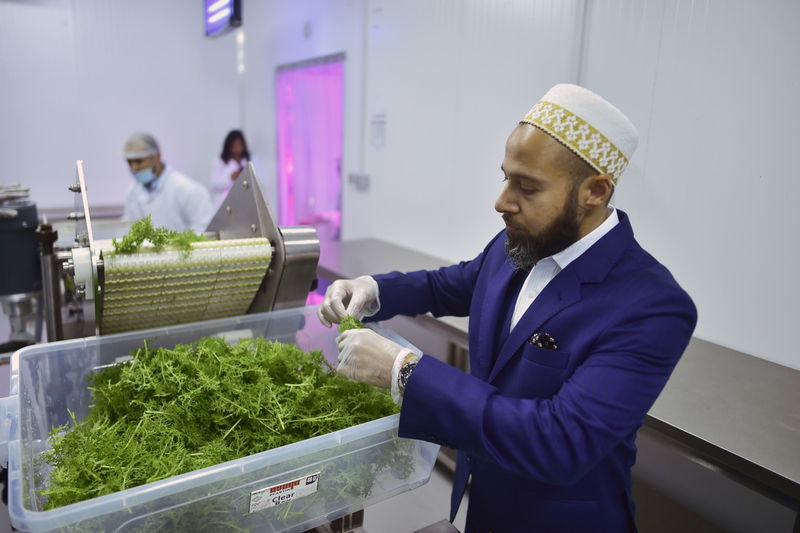 The Moiz family, which also runs a family hardware business, invested $10 million (Dh36.7 million) in this project as they completely believe in organic, sustainable urban farming. The UNS farm currently produces tonnes of greens — baby spinach, kale, basil, lettuce and salad leaves. The farm plans to diversify into growing fruit such as strawberry and also cultivate mushrooms. It also is into cultivation of flowers. The produce, minus pesticides and harmful chemicals, are imbued with great natural flavours. Moiz added: “The vegetables grown here taste incredible. Uns plans to get into mushroom cultivation soon. “Worldwide mushrooms are the favourite fungi for exotic cuisines but are not required to be grown in compost base which is not always very hygienic. We will be adhering to very high hygienic standards while cultivating mushrooms too. We want people to know that health and quality need not come at a premium, and at UNs were are working towards that goal,” added Moiz. How does Hydroponic farming at UNS happen? • Seeds of the plants to be cultivated are procured and filled with nutrients. • They are inserted in oasis sheets which is then soaked in hydrogen peroxide solution and kept for 10 minutes. This is done to avoid fungal and other bacterial growth. Again the seeds are sprayed with the nutrient solution which are bio stimulators enhancing the growth of the crop. • The farm temperature is maintained under 24 degree Celsius, the PH level is maintained at 5.80 and carbon dioxide is maintained is at 600 ppm. All of which is controlled and maintained by an automated control panel that checks optimum PH, temperature, nutrient target and humidity. • The LED lights supply nourishment through the colours of the rays. • The harvesting depends on the kind of crop. Some crops start germinating between the fifth and seventh day. 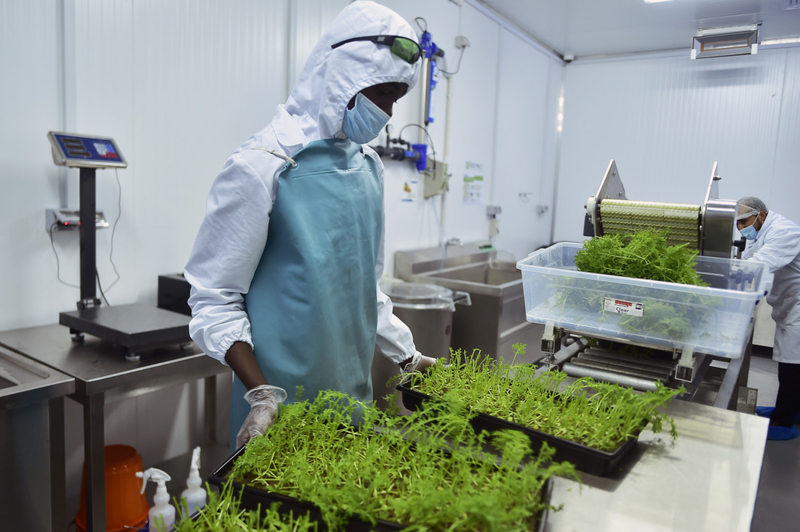 The harvest can be done from tenth day and the same plant can is re-harvested up to 4 or 5 times from the same growing tray. • The crop is then taken to the dryer where it is dried in a manner that 10 per cent of the moisture is retained to maintain the freshness of the crop. 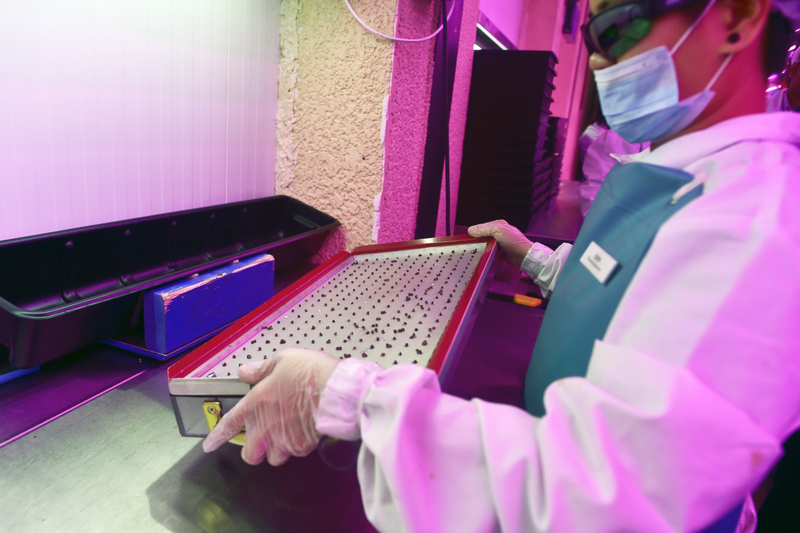 The composition of the nutrients in hydroponic farming is essential as plants grow without soil. There are over 20 elements that are essential. These include elements such as carbon, hydrogen and oxygen that the plant absorbs from the air and water. In addition plants require essential minerals and nutrients that are dissolved in water in correct proportions and delivered to the plant through drip irrigation.